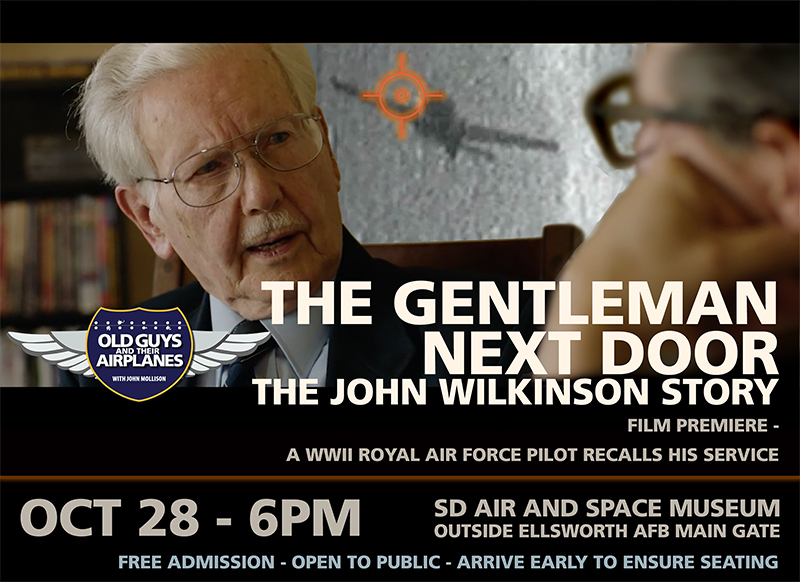 Flt Lt John Wilkinson "The Gentleman Next Door"
This is a fantastic short film telling the story of one of 41 Squadron's true heroes. It is well produced and is both humbling and uplifting. Well worth watching. OGTA #9 The Gentleman Next Door - The John Wilkinson Story from John Mollison on Vimeo. "This year 41 Squadron celebrated its Centenary. The opportunity to reflect on our history was a stark reminder of the hardships of war and the sacrifices made in the darkest hours of the Battle of Britain through to the eventual Victory in Europe. Aircrew and groundcrew from 41 Squadron were highly decorated throughout World War 2; and the stories captured through our operational records and published memoirs from the period clearly demonstrate the grit, determination and esprit-de-corps of those who served on the unit. It is magnificent that John’s story from this period has been captured in his own words and shared with the audience assembled to hear him at the South Dakota Air and Space Museum. Although the Squadron cannot be with you tonight, we want to convey our support to John and the production team in putting this together." "My first operational flying tour in the Royal Air Force was with No 41 Squadron, I later commanded the unit and now have the privilege of being the President of the recently re-formed No 41 Squadron Association. The Squadron has always been extraordinarily proud of its history and the people that made it so rich. Our World War II veterans are thus held in extraordinarily high esteem. In this, the Centenary year of No 41 Squadron, I could not have been more delighted to learn that Flight Lieutenant John Wilkinson supported by John Mollison and Dalton Coffey have made the documentary film, ‘The Gentleman Next Door’, to record John’s wartime service in the Royal Air Force. This is an important and exciting project and I wish it every success. I also harbour the hope that this endeavour will encourage others to tell their stories. We must never forget the bravery, courage and self-sacrifice of those who fought to preserve the freedoms that we all enjoy today."